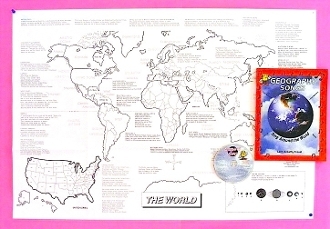 25"x36" World Map to label and color. Contains lyrics of 33 songs. Click on photo to see all the lyrics.